Steve is an experienced first-chair trial lawyer who joined the firm in 2014. 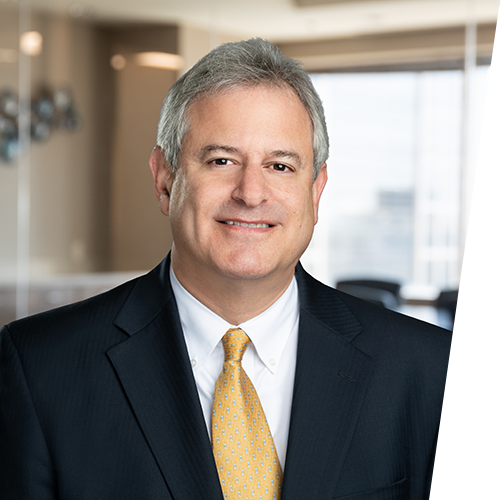 Like several other SAKG attorneys, Steve spent much of his career with “big law“ firms in Kansas City, where he focused his practice in the areas of medical malpractice litigation, professional liability litigation, long-term care litigation, and commercial litigation. Steve has tried a number of cases to verdict, including a jury verdict in his client’s favor in his initial first chair jury trial, which was a surgical malpractice case arising from an esophageal dilatation procedure. Served as primary counsel in multi-million dollar case brought under Federal Torts Claims Act arising from physician’s alleged failure to diagnose cauda equina syndrome in pregnant patient. Achieved summary judgment for major bank in foreclosure case in which borrowers sought to enforce a claimed loan modification under various theories, including fraud, negligent misrepresentation, and violation of the Racketeer Influenced and Corrupt Organization Act (“RICO“). Served as member of trial team in three-week product liability case involving severe brain injuries to minor child arising from automobile manufacturer’s alleged failure to properly design and manufacture seat. Achieved settlement prior to start of closing arguments. Served as primary counsel in numerous medical negligence cases involving a wide variety of issues, including: failure to timely diagnose and manage a cerebellar infarct; failure to timely diagnose and treat acute monocytic leukemia; failure to properly diagnose and manage various issues related to pregnancy and childbirth; and failure to properly perform various surgical procedures. Served as primary counsel in personal injury case against a multinational corporation in which plaintiff alleged he suffered severe renal injuries because the corporation failed to properly load powdered products on a truck, which caused the products to become displaced during transport and subsequently fall on him. Successfully resolved case via settlement. Prevailed on motion to dismiss in foreclosure case on behalf of major bank in which borrowers contended, among other things, that bank was not proper note holder, that bank perpetrated fraud against borrowers, and that bank had no standing to foreclose against borrowers. Drafted amicus brief in case involving the applicability and scope of the “loss of chance“ theory of recovery in medical negligence cases in Kansas. Drafted all appellate briefing and presented oral arguments to the United States Court of Appeals for the Tenth Circuit in case involving claims for malicious prosecution that had been previously dismissed on summary judgment at the district court level.